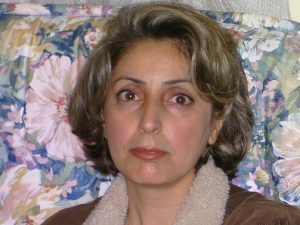 HRANA News Agency- Rozita Vaseghi, a Baha’i, has been freed from Vakeel-Abad prison in Mashhad after five years imprisonment. 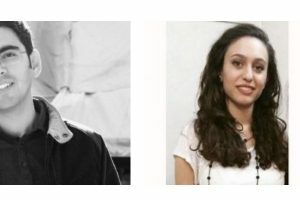 According to HRANA, the news agency of Human Rights Activists, Rozita Vaseghi, a Baha’i citizen of Mashhad, after completing her five year imprisonment with hard labour in Vakeel-Abad of Mashahd, was freed on the evening of the 21st of January. 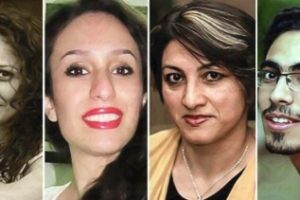 It is noteworthy that she spent six months of her sentence in solitary confinement in the Information Office of Mashhad. During her five years imprisonment, Rozita Vaseghi, again under the pressure of the Information Office, was not given a single day’s opportunity for a home visit, even for necessary medical attention*. 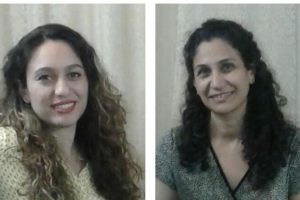 Ms. Vaseghi, like other Baha’i prisoners in Mashhad, was barred from contacting any other prisoners, and was confined in a separate room in the women’s prison. I DON’T KNOW WHAT WORDS OF MINE COULD EVER SPEAK TO THE SHAME THAT THIS BRINGS UPON THOSE WHO HAVE TREATED AN INNOCENT SUCH AS SHE IS, WHO EXEMPLIFIES TO EXTREME THOSE VERY QUALITIES MOST PRIZED IN SOCIETY, TO PRISON AND ISOLATION BECAUSE SHE WORSHIPS GOD, AND BELIEVES IN THE ONENESS OF MAN AND OF RELIGION. MY HEART GOES OUT TO HER, AND TO THOSE OTHERS WHO ARE SUFFERING THE SAME CONSEQUENCE, AS WE SPEAK, FOR THEIR BELIEF.